Creating high quality online property listings for your sellers is key in generating buyer leads, but is also a great marketing tool for people interested to list with you. 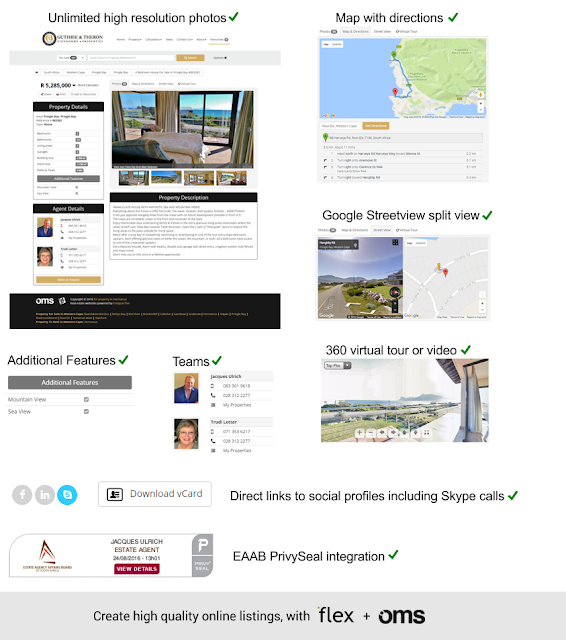 Why create average listings when you can create state of the art property listings with the OMS and Flex. There are also great time saving features built into the OMS, like capturing a listing once, and have it published on your Flex website and all the leading property portals.